The Mizuho OSI Lateral Arm Board Set provides adjustable positioning to meet various lateral position requirements. Soft Tempur-Pedic® Pads protect the entire length of the arm and minimize peak pressure points. 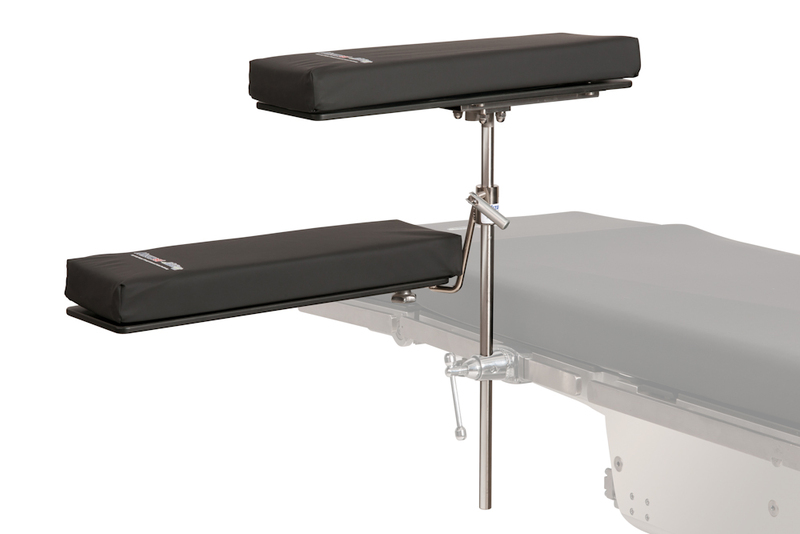 The Lateral Arm Board attaches to a standard operating table side rail using one Clark Socket. Can be placed anywhere on the side rail to minimize interference with the procedure.